This paper discusses a dance action-research project developed with elderly people in Brazil. The meanings of ballroom dancing and its benefits are explored for 60 elderly Brazilians through participant observation and questionnaires. This study adds to the growing number of dance projects and research for older people, responding in part to evidence that dance is a form of therapy for its valuable means in augmenting mental, emotional and physical well-being and to counteract social isolation. The dance project took place through the Third Age Club, which was founded by The Viçosa County’s Social Assistance Department and the Federal University of Viçosa. At the end of one year taking the ballroom dance classes, the senior citizens were asked to answer a questionnaire in order to provide subjective information on the meanings of ballroom dancing and its benefits for them. The outcome of this inquiry was analyzed under a qualitative approach, phenomenological hermeneutics. Five major categories of therapeutic meanings of ballroom dancing for participants are: ballroom dancing is fun; it brings health benefits; it brings back good dancing memories; it allows participants to establish cultural connections to the larger Brazilian dancing culture; it provides opportunities for socializing. 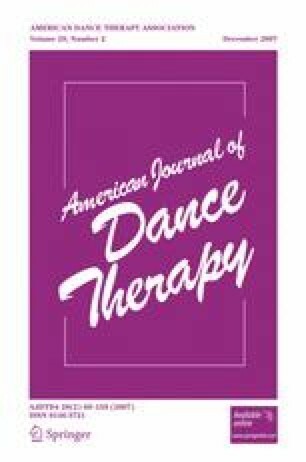 The article ends with reflective analysis of the researchers’ observations and field notes by suggesting that the ballroom dancing classes created a culture of inclusion that embraced both understanding and acceptance among senior citizens, which in turn might improve their quality of life.